The Turbo 400 transmission was a 3 speed automatic transmission developed by General Motors. This was one of General Motors editions of the Hydramatic transmission series. This transmission is known more commonly by the name TH400, although it did receive another name change in the late 80s, adopting the name 3L80. 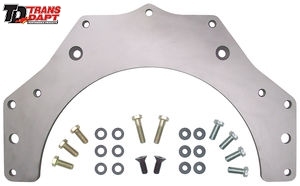 This is a durable and very well-known transmission, as it was in production for many years and applied to a wide variety of vehicles, not only General Motors. The TH400 was initially placed in Buick and Cadillac cars and later added to Chevrolet, Oldsmobile and Pontiac cars. This transmission eventually made its way into many of the truck applications for General Motors. The transmission was not exclusive to General Motors, as many luxury brands such as Jaguar, Ferrari, Rolls-Royce and many others made use of this transmission. The TH400 was first introduced beginning in 1964, as it began to replace the Super Turbine 300 transmission, which was a 2 speed automatic. 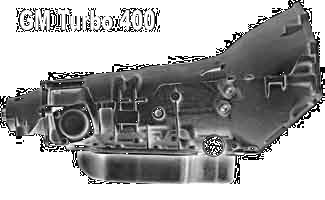 The Turbo 400 was placed in many cars across GM as well as other car manufacturers during its long production life. Overall the transmission remained in production an impressive 27 years before it was eventually replaced by a 4 speed electronically controlled transmission, the 4L80E, in 1991. The TH400 was very popular, particularly known for its strength. One of the attributes that is credited with providing this strength is the cast iron center support. Although the overall sentiment is that this is a very strong and durable transmission, some of the most common problems seen are clutch wear and hydraulic fluid leaks. The Turbo 400 is rated conservatively at peak torque of 450 lb-ft. That being said, this transmission is commonly used in hot rods and paired with engines making far more torque, although these transmission also must commonly updated with some aftermarket parts. The �3� represents that this is a 3 speed transmission, and in the case of the Turbo 400, a 3 speed automatic transmission. The �L� represents the orientation of the transmission, with L specifically calling out a longitudinally position transmission. The �80� indicates that this transmission was rated for GVW up to 8000 lbs. This 3 speed transmission has its gear ratios defined as 2.48 for 1st, 1.48 for 2nd, and 1.0 for 3rd gear. The Turbo 400 is primarily constructed of cast aluminum, with the bell housing being integrated into the transmission and also made of cast aluminum. Some areas are cast iron, such as the center support for the transmission. The TH400 is 24.37� long and comes in at a weight of 135 pounds dry. This transmission does vary in the amount of fluid required, based on certain specifications such as which torque converter is used. That being said, a common fill volume is between 11-12 quarts for a stock transmission. The TH400, or Turbo 400, transmission was a 3 speed automatic that was first produced in 1964. This transmission became well-known for its strength and was very popular, based on its life and the number of applications in which it was installed. It was not only used in General Motors applications, but was also used for many luxury cars. Overall this transmission was in production for 27 years, and to this day is commonly used for many aftermarket applications.